Be on the lookout for more information on the upcoming Elections and Annual Awards! The election process will begin May 1 with the Global Board call for candidates. More information will follow via email. Thank you to the local teams for translating OWASP documentation into many different languages. The Hacky Easter challenges have returned! Hacky Easter 2015 is a free, white-hat hacking competition for education and fun. The competition runs until May 31, 2015. CLICK HERE to access the challenges! Good luck to all. Did you know that when you access Amazon through the special OWASP Charity link OWASP received a percentage of the purchase? This is an easy way to help support OWASP. 100% of proceeds collected through Amazon Smile in 2015 will support the Women in AppSec initiative. OWASP KALP Mobile Project is for the users around the world who want to view the OWASP Top 10 vulnerabilities, download the Top 10 list on their mobile device, and email it. This is a lightweight information of OWASP Top 10 list, Cheat Sheets as well as Prevention Cheat Sheets created from the OWASP site. Visit the project page for links to download the application for Android and iOS devices. OpenSAMM is an easy-to-use assessment which provides flexible datasets that can be customized by organization demographics, including sector, development and cultural profile, resulting in pragmatic milestones towards reducing overall security risk. The expanded access to these datasets makes OpenSAMM available to a larger number of organizations, which previously weren't able to apply valuable benchmarking data to their particular case. Each of the practical, constructive benchmarks within the framework was derived from best practices of leading application security firms. Please consider attending the very first ZAP Summit which will take place at AppSec EU in Amsterdam on May 20, 2015. Attendees will have the opportunity to learn and extend their knowledge as well as hands on activities. Admission to the summit is free! Integrating ZAP as part of docker based build/deploy CI-process in order to run non-interactive ZAP active scanning against other docker containers within the same cloud. Quickly deploying ZAP to docker friendly datacenter in order to use ZAP for scanning applications behind firewalls. Having the latest ZAP stable/weekly release inside isolated container in your personal workstation. Read the full article with step by step instructions for usining ZAP with Docker at the OWASP Blog. AppSensor is about detecting and responding to attacks within software applications. In February the project team created a two-page flyer "AppSensor - Introduction for Developers"
The CISO Briefing is also available to buy at cost in hardcopy. These materials are intended to complement the more extended information on the microsite http://www.appsensor.org/, project wiki and AppSensor - Guide. AppSensor is also participating in the project summit at AppSec EU in May. WHID goal is to serve as a tool for raising awareness of the web application security problem and provide information for statistical analysis of web applications security incidents. A useful way to use WHID is to help provide data for "Likelihood of Attack" RISK ratings. There is a lot of public "vulnerability" data publicly available, but which ones are actively being used by attackers? There is significant knowledge about application vulnerability types, and some general consensus about identification and naming. Issues relating to the misuse of valid functionality, which may be related to design flaws rather than implementation bugs, are less well defined. Yet these problems are seen day-in day-out by web application owners. Excessive abuse of functionality is commonly mistakenly reported as application denial-of-service (DoS) such as HTTP-flooding or application resource exhaustion, when in fact the DoS is a side-effect. Some examples are blog & comment spam, fake account creation, password cracking, web scraping, etc. These factors have contributed to inadequate visibility, and an inconsistency in naming such threats, with a consequent lack of clarity in attempts to address the issues. The OWASP Automated Threats to Web Applications Project is in the process of reviewing reports, academic and other papers, news stories and vulnerability taxonomies/listings to identify and name classes of these - threat events to web applications that are undertaken using automated actions. The aim is to produce an ontology providing a common language for devops, architects, business owners, security engineers, purchasers and suppliers/vendors, to facilitate clear communication and help tackling the issues. The project also intends to identify symptoms, mitigations and controls in this problem area. But for the moment the project would like to receive real-world experience on the prevalence and naming of such threats - especially from those responsible for the ongoing operation of web applications. Career Fair Spaces now open! Recruit the best AppSec Talent! Spaces are limited. Please contact Kelly Santalucia for more information or to reserve your spot. Ads are not endorsements and reflect the messages of the advertiser only. CLICK HERE for more information on advertising. Check out the Twitter Feed! To add your comments, go to the Chapter Handbook page. On each chapter of the handbook, click the "Discussion" tab at the top left of the page to review the suggested changes. You will need to log in to add your own suggestions. At this time do not make any edits to the Chapter Leader Handbook pages. Only add suggestions to the Discussion page. Please contact Noreen if you need assistance. For those who are not familiar with Docker. Docker is an application container, which works bit similar to "user mode Linux" or LXC containers, allowing users to deploy applications inside containers containing full virtualized OS install while having isolated container which can easily be deployed as needed. The build process for the docker images is as simple as downloading the ascii-file containing the configuration along with specific OS-commands and running "docker build" -command, or just use the existing images with simple "docker pull" -command in order to download pre-made images from the docker hub. In order to support zap usage on docker environments, the ZAP project has pre-made images available allowing easy use and deployment of Stable and Weekly versions of ZAP through docker. What can you do with ZAP docker images? Quickly deploying ZAP to a docker friendly datacenter in order to use ZAP for scanning applications behind firewalls. Having the latest ZAP stable/weekly release inside an isolated container in your personal workstation. First you need to have the docker tool installed. You can do this by following instructions at the docker website. Or if you are using debian compatible OS, you can just type "apt-get install docker.io". Once you have docker installed you can pull the latest zap docker image from owasp's docker image repository (hosted by docker hub). This will download and install the zap docker images from docker project's image hub. Alternatively you can build your own with the docker files located at build/docker directory of the zap source code archive. ZAPR for script/CI-friendly automatic active scanning without user interaction. This will first ask you to set VNC server password, once done it will startup the VNC session. Which you can connect with your VNC client (eg. in the example its localhost and tcp port 5900). In order to reach the ZAP proxy from your web browser just set your http proxy point to your docker host's IP (or localhost) and TCP port 8080, when you are done you can just kill the docker image with ctrl+c. Zapr is ruby script for ZAP which allows non-interactive active scanning for desired targets, which is nice for things like cronjobs or shell-script jobs. Notice that the summary report from Zapr is printed to the console after running the docker command. 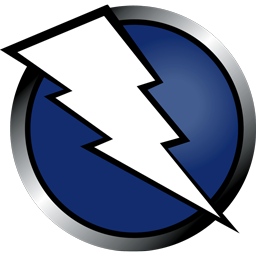 ZAP is an OWASP Flagship project, and is currently the most active open source web application security tool. A new ‘attack’ mode has been added that means that applications that you have specified are in scope are actively scanned as they are discovered. A completely new fuzzing dialog has been introduced that allows multiple injection points to be attacked at the same time, as well as introducing new attack payloads including the option to use scripts for generating the payloads as well as pre and post attack manipulation and analysis. Scan policies define exactly which rules are run as part of an active scan. They also define how these rules run influencing how many requests are made and how likely potential issues are to be flagged. The new Scan Policy Manager dialog allows you to create, import and export as many scan policies as you need. You select any scan policy when you start an active scan and also specify the one used by the new attack mode. Scan policy dialog boxes allow sorting by any column, and include a quality column (indicating if individual scanners are Release, Beta, or Alpha quality). New Active Scan and Spider dialogs have replaced the increasing number of right click 'Attack' options. These provide easy access to all of the most common options and optionally a wide range of advanced options. By default only the essential tabs are now shown when ZAP starts up. The remaining tabs are revealed when they are used (e.g. for the spider and active scanner) or when you display them via the special tab on the far right of each window with the green '+' icon. This special tab disappears if there are no hidden tabs. Tabs can be closed via a small 'x' icon which is shown when the tab is selected. Tabs can also be 'pinned' using a small 'pin' icon that is also shown when the tab is selected - pinned tabs will be shown when ZAP next starts up. Access Control Testing: adds the ability to automate many aspects of access control testing. Sequence Scanning: adds the ability to scan 'sequences' of web pages, in other words pages that must be visited in a strict order in order to work correctly. These can both be downloaded from the ZAP Marketplace. Relative Path Confusion: Allows ZAP to scan for issues that may result in XSS, by detecting if the browser can be fooled into interpreting HTML as CSS. Proxy Disclosure: Allows ZAP to detect forward and reverse proxies between the ZAP instance and the origin web server / application server. Storability / Cacheability: Allows ZAP to passively determine whether a page is storable by a shared cache, and whether it can be served from that cache in response to a similar request. This is useful from both a privacy and application performance perspective. The scanner follows RFC 7234. Support has also been added for Direct Web Remoting as an input vector for all scan rules. Session ID in URL Rewrite: This plugin has been updated with a minimum length check for the value of the parameters it looks for. A false positive condition was raised related to this plugin (Issue 1396) whereby sID=5 would trigger a finding. Minimum length for session IDs as this plugin interprets them is now eight (8) characters. The ZAP splash screen is back: It now includes new graphics, a tips & tricks module, and loading/progress info. The active scan dialog show the real plugin’s progress status based on the number of nodes that need to be scanned. There is a new session persistence options dialog that prompts the user for their preferred settings at startup (you can choose to “Remember” the option and not be asked again). For all Alerts the Risk field (False Positive, Suspicious, Warning) has been replaced with a more appropriately defined Confidence field (False Positive, Low, Medium, High, or Confirmed). Timestamps are now optionally available for the output tab. The API now supports the spidering and active scanning or multiple targets concurrently, the management of scan policies as well as even more of the ZAP functionality. The help files are internationalized via https://crowdin.net/project/owasp-zap-help. If you use ZAP in one of the many languages we support, then look on the ZAP Marketplace to see if the help files for that language are available. These will include all of the available translations for that language while defaulting back to English for phrases that have not yet been translated. See the Release Notes (https://code.google.com/p/zaproxy/wiki/HelpReleases2_4_0) for a full list of all of the changes included in this release. Entry is free - come along and help define the future direction of ZAP! And we have a set of ZAP community scripts on GitHub - pull requests very welcome!